Madame Bovary By Gustave Flaubert Translated from the French by Eleanor Marx-Aveling Madame Bovary by Gustave Flaubert. 'One of the most influential novels ever written'. 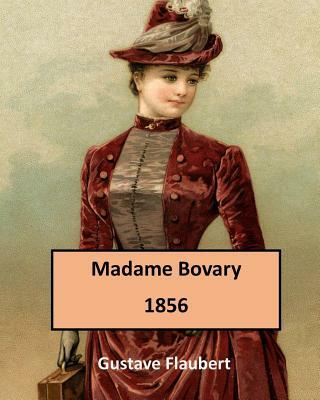 Madame Bovary (1856) is Gustave Flaubert's first published novel and is considered by many critics to be a masterpiece. The story focuses on a doctor's wife, Emma Bovary, who has adulterous affairs and lives beyond her means in order to escape the banalities and emptiness of provincial life. Though the basic plot is rather simple, even archetypal, the novel's true art lies in its details and hidden patterns. Flaubert was a notorious perfectionist and claimed always to be searching for le mot juste ("the precise word"). When it was first serialized in La Revue de Paris between 1 October 1856 and 15 December 1856, the novel was attacked for obscenity by public prosecutors. The resulting trial, held in January 1857, made the story notorious. After Flaubert's acquittal on 7 February 1857, Madame Bovary became a bestseller when it was published as a single volume in April 1857. Flaubert's masterpiece is now considered a seminal work of Realism and one of the most influential novels ever written. In fact, the notable British-American critic James Wood writes in How Fiction Works: "Flaubert established for good or ill, what most readers think of as modern realist narration, and his influence is almost too familiar to be visible.